My mobile gaming is pretty hit or miss. sometimes I’ll get super excited over an app thats coming out for iOS and will count down the days until its release and then proceed to never ever play it (I’m looking at you Eclipse). Other times, I will just happen upon a game by chance that ends up being so ridiculous and straight forward that I am blown away by it and can’t put it down. If you have what it takes to be the captain of a space team, you will want to read on. This game has changed lives, and continues to shape future generations to come. 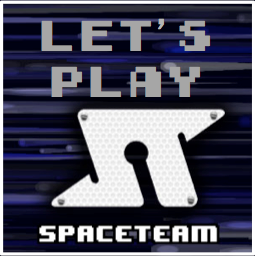 Spaceteam is a cooperative multi-device game for iOS and Android devices where you and your spaceteam are responsible for flying a spaceship through space while avoiding asteroids and wormholes by flipping switches and pushing buttons on your console. Chaos is at a constant high as is the tension of those playing with you because pretty much this is the game. The game play is not much different than what I just described - each players device is its own ship console consisting of different buttons, switches, dials and the like. The game will tell each player a different button/switch/dial that needs changing to another setting, be it on/off, 1 to 5 and so on. The chaos comes in that the directions that I receive may not be for the controls that I have on my ship console, requiring me to tell (ie, agressively shout louder than everyone else) the other players that I’m playing with so they can execute. If they don’t, our ship explodes and we all die in a horrible firey death. As the game progresses level by level, the time to complete each command gets shorter, and other malfunctions may occur (particular buttons may start smoking or they may ooze an ooze making them hard to read. or they may just fall off and you need to take the time to repair them). Asteroids and worm holes may crop up requiring everyone to shake or flip their devices respectively in order to avoid. In later levels, the controls may only be symbols and you need to figure out what matches what (because the commands may be words that don’t always line up with said symbols). As far as I can tell you play until you crash and burn. I’ve made it as far as level 9 once or twice. The game has been out for about a year now and is great fun. Whenever we have some down time we quickly will pull this out and will play it, which will quickly lead to shouting. we’ve introduced it to friends who at first are a bit aprehensive when we explain how we need to work together to fly our spaceship, but within a few moments they are shouting and loving it just as much. One of the great things about it is that no two games are the same as every level randomly generates and gives different combination of controls to each player. Some of the “beta” settings will even allow for massively large groups upwards of 8 people (the standard game allows for 2-4). Whats even crazier is when you find out that this quirky fun party game was made by a former engineer from BioWare (same guys making SWTOR and Dragon Age) as a way to learn app development for iOS. 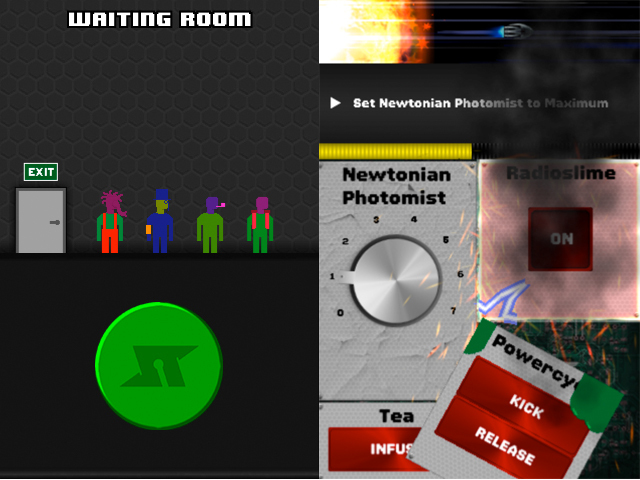 This great game is available for free for both iOS and Android, but you can make several one-time in-app purchases or donate via the Spaceteam memorial fund.